For the SUV lovers out there, there’s an all-new Kia SUV heading to Ewald Kia. 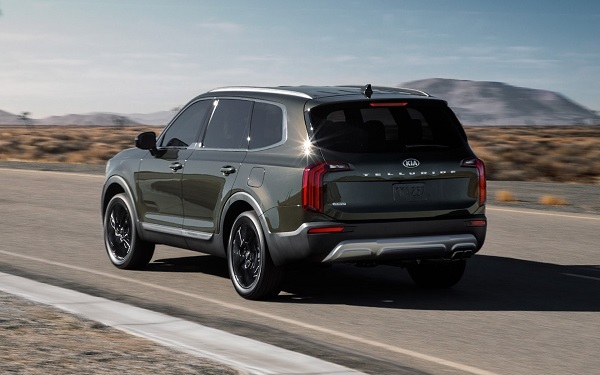 The Kia Telluride will be making its debut in Spring 2019, with plenty of performance and premium utility features to make it an excellent choice for fueling all of your adventures. The Telluride has been designed in the USA to fit the needs and wants of American drivers. 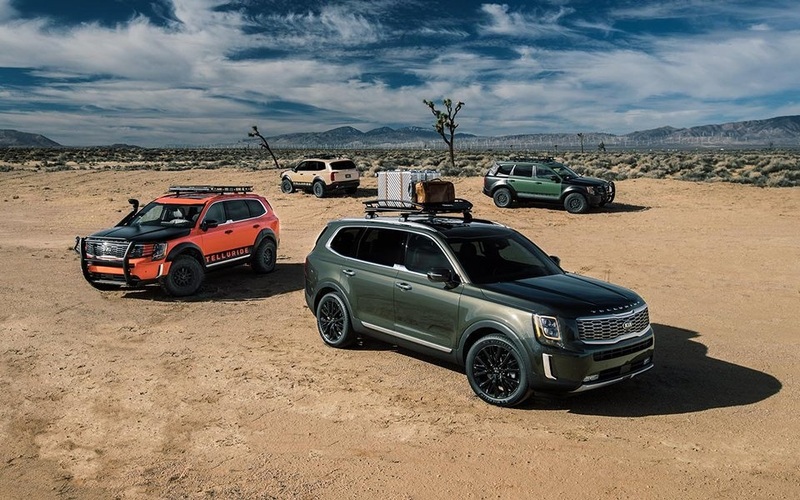 If you want a rugged vehicle that doesn’t compromise on a smooth and refined ride, then the Kia Telluride is right up your alley. When designing the newest addition to the lineup of Kia SUV models, Kia has redefined what a large SUV can be. Equally comfortable on city streets or mountain roads, the Telluride is as versatile as it gets. The All Wheel Drive with locking center differential makes sure that you can handle driving in all sorts of terrain without missing a beat. Whether it’s winding winter roads or dusty highways, you’ll enjoy a refined and high-performance driving experience the whole way. 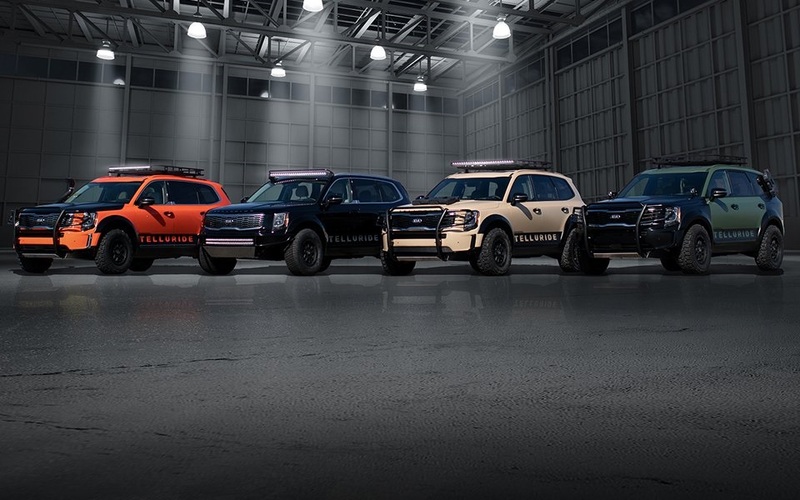 These SUVs are American through and through. Assembled in Kia’s West point manufacturing facility in Georgia, you’ll be able to get your hands on a stunning SUV that sports first-rate American craftsmanship. While the Telluride looks rugged and capable on the outside, when you get behind the wheel you’ll find a roomy and comfortable interior that is designed with comfort and convenience first. This is an all-new Kia SUV with 3rd-row seats, so there will be plenty of room for you and all of your passengers to ride along to your Wisconsin destinations. The spacious cabin has room for up to 8 passengers that comes standard on all models. 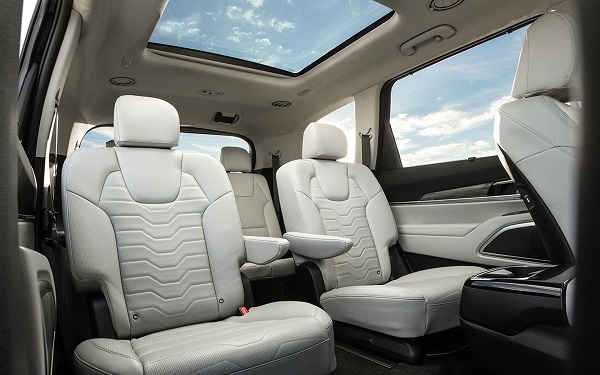 Outfitted with premium Nappa leather seats, the interior is as beautiful as it is comfortable. With the Telluride, Kia wanted to go a step further than what has been done with their other best-selling SUVs. To accomplish this, the Telluride boasts plenty of top-notch performance features that offer an unparalleled driving experience. Under the hood, you’ll find a robust and powerful 3.8-liter Lambda DOHC 24-valve V6 Engine to fuel your daily driving needs. With all that power at your disposal, you’ll have 291 hp and 262 lb.-ft. of torque to enjoy on the open road or to power through any tasks that might come your way. This beast of an SUV offers an excellent 5,000 lbs of towing capacity. Whether you need to bring your trailer on a weekend camping trip or tow your boat to the lake - your Telluride has what it takes to make it all happen. With trailer stability assist, you can tow with confidence and get to your destinations with ease. The 8-speed automatic transmission makes for a smooth and precise drive that is tough to find on other SUVs with third-row seating. Stunning performance isn’t the only thing that this all-new SUV model brings to the table. To complement the exciting drive that you’ll enjoy with the Telluride, it packs plenty of high tech features into the interior for you and your passengers to enjoy. The 10.25-inch touch screen display will keep all of your most vital driving information front and center. With a 10 speaker audio system from Harman/Kardon®, you can enjoy your favorite music like never before. Android Auto™ and Apple Carplay™ make it a breeze to connect mobile devices for audio streaming, displaying navigation and much more. Don’t miss out on the chance to drive one of these top-notch Kia SUVs - reserve yours today at Ewald Kia - the first choice of Kia dealers in Wisconsin! When you’re looking for your next family vehicle, safety is often a top concern. The road can be an unpredictable place, so it is vital to know that your SUV can help keep you out of harm’s way as well as protect you and your loved ones. The Kia Telluride is the ideal vehicle if you value safety and are in the market for SUVs for sale near you. It offers a number of safety features that will have your back on busy Milwaukee highways. With Blind Spot Collision Avoidance, your Telluride will keep an eye on the areas that you can’t see to help give you peace of mind. We’ve only touched on all the excellent features and exciting innovations that the Kia Telluride brings to the table. Read on to learn more about this incredible new SUV.